The latest Xiaomi Redmi Note-series smartphone, called the Redmi Note 6 Pro (first impression), has debuted in India. The handset was originally launched back in Thailand back in September. As a successor to the Redmi Note 5 Pro (Review), the Note 6 Pro comes with a slightly bigger display with a notch up top that houses dual-selfie camera. Apart from the noticeable design difference, the handset also offers Qualcomm Quick Charge 3.0 technology and the main sensor of the primary camera with a wider aperture lens. The Xiaomi Redmi Note 6 Pro smartphone India price starts from Rs 13,999 for the base 4GB RAM variant and goes up to Rs 15,999 for the 6GB RAM variant. The handset is being offered in four colour options, including Black, Rose Gold, Blue, and Red. The sale of the handset starts at 12pm on November 23rd exclusively via Flipkart and Mi.com. It will be available via Mi Home and Mi Preferred offline stores soon, the company said. As part of the Xiaomi Black Friday sale, the Redmi Note 6 Pro price in India will be Rs 12,999 and Rs 14,999 for the 4GB and 6GB RAM variants, respectively. Transactions made using HDFC Bank credit and debit cards as well as EMI transactions will be eligible for Rs 500 instant cashback. The handset will come with a free ultra-slim case, and launch offer is Rs 2,400 instant cashback and 6TB complimentary data from Jio. The Redmi Note 6 Pro has a design that has a steeper curvature on the back that the company claims makes it easier for users to hold it. The chipset onboard is the same 14nm octa-core Qualcomm Snapdragon 636, paired with Adreno 509 GPU. The phone has been announced with two configurations: 4GB RAM + 64GB storage and 6GB RAM + 64GB storage. The handset supports a hybrid microSD card slot to expand the storage up to 256GB. Running the show is a 4,000mAh battery, now with Quick Charge 3.0 support; however, buyers will have to purchase the fast-charger separately. The handset also employs a rear-mounted fingerprint sensor. What’s new on the Redmi Note 6 Pro is its display and dual selfie cameras. The handset boasts a bigger 6.26-inch Full HD+ (2,280 x 1,080p) display with an aspect ratio of 19:9 and 500 nits brightness, compared to a 5.99-inch panel on its predecessor. 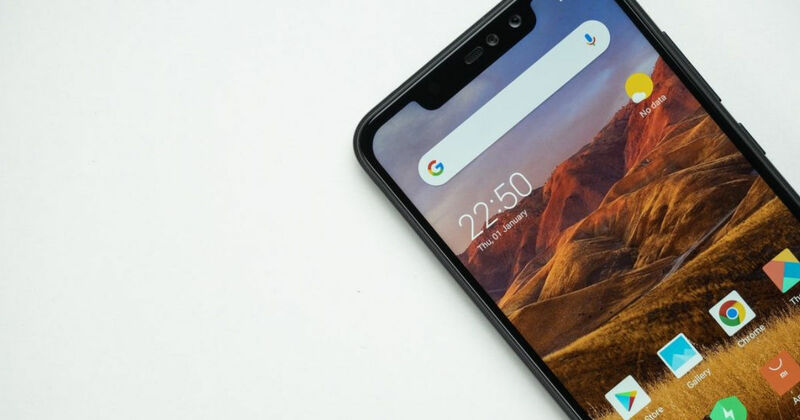 There’s a notch atop the screen this time around, housing the sensors, earpiece, and dual selfie cameras – this notch can be turned off in Settings. In optics, the Redmi Note 6 Pro features a combination of 20MP + 2MP shooters up front for selfies and video calling. It supports face unlock, AI Portrait 2.0, and AI scene detection (12 categories). As for the primary camera, the Redmi Note 6 Pro comes with the same 12MP + 5MP sensors on the rear with LED flash sandwiched in between, but the main sensor now supports a wider f/1.9 aperture lens instead of f/2.2. The rear camera has 32 AI-based scene detection, adjustable bokeh and studio lighting, and EIS for video recording. On the software front, the Redmi Note 6 Pro runs Android 8 Oreo-based MIUI 10 out of the box. In terms of connectivity, it comprises dual-SIM dual-VoLTE functionality, Bluetooth 5.0, WiFi, micro USB, support for OTG, GPS, and 3.5mm headphone jack. The company is offering a new 380V power adapter for the handset that the brand says can withstand voltage fluctuations to protect the handset and the charger from damage. The 3.5mm earphone jack and USB port have rust-protecting layer.